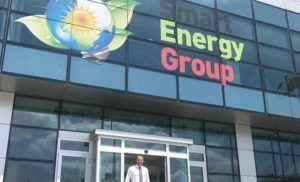 Smart Energy Group plans to invest about UAH 1 billion in increasing natural gas production in 2019, director general of the group of companies Serhiy Hlazunov has said at a press conference in Kyiv. “Investments are foreseen for drilling new wells – we have plans to drill four new wells this year. We also plan to overhaul both our wells and those of Ukrgazvydobuvannia located in our fields,” he said. According to him, the company as a whole expects to overhaul five wells this year. Of the four wells planned for drilling, one could be put into operation before the end of 2019. Commenting on gas production plans, he added that the company expects a 10% growth (about 30 million cubic meters), to 325.2 million cubic meters. In 2018, the group of companies increased natural gas production by 31% compared with 2017, to 296.7 million cubic meters, gas condensate output by 40%, to 25,700 tonnes, that of liquefied gas by 49%, to 6,900 tonnes.